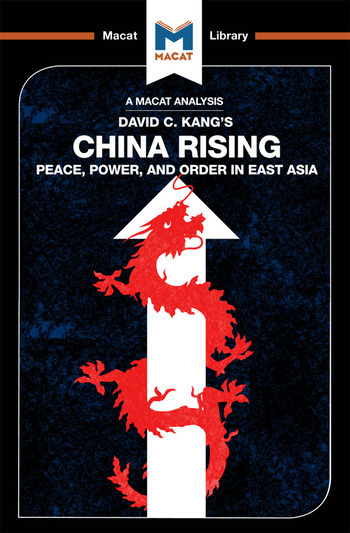 David C. Kang’s China Rising is a fine example of an author making use of creative thinking skills to reach a conclusion that flies in the face of traditional thinking. The conventional view that the book opposed, known in international relations as ‘realism,’ was that the rise of any new global power results in global or regional instability. As such, China’s development as a world economic powerhouse worried mainstream western geopolitical scholars, whose concerns were based on the realist assumption that individual countries will inevitably compete for dominance. Evaluating these arguments, and finding both their relevance and adequacy wanting, Kang instead turned traditional thinking on its head by looking at Asian history without preconceptions, and with analytical open-mindedness. Producing several novel explanations for existing evidence, Kang concludes that China’s neighbors do not want to compete with it in the way that realist interpretations predict. Rather than creating instability by jockeying for position, he argues, surrounding countries are happy for China to be acknowledged as a leader, believing that its dominant position will stabilize Asia, and give the whole region more of a hand in international relations. ¶Though critics have taken issue with Kang’s conclusions, his paradigm-shifting approach is nevertheless an excellent example of developing fresh new conclusions through creative thinking. Dr Matteo Dian holds a PhD in international relations from the Scuola Normale Superiore di Pisa, where he research focused on the evolution of the US-Japanese alliance after World War II. He is currently a research fellow at the University of Bologna, where he continues to work on international relations with a special focus on the place of China in world politics. Dr Jason Xidias has held positions at King’s College London, the University of California, Berkeley, and the New College of the Humanities in London.